German TECHART has been remanufacturing Porsches for a quarter century, priding itself on always producing something special for the Frankfurt Motor Show (IAA) every second year. This year for Frankfurt MotorShow 2011 it has produced the most powerful Techart Porsche ever to leave its Leonberg “manufactory”: the GTStreet RS is based on the Porsche 911 GT2 RS and delivers 530 kW (720 PS) and 900 Nm torque. From a standing start, the GTStreet RS hits 62 mph (100 km/h) in 3.3 seconds, 124 mph (200 km/h) in 9.5 seconds and has a maximum speed of 218 mph (352 km/h). 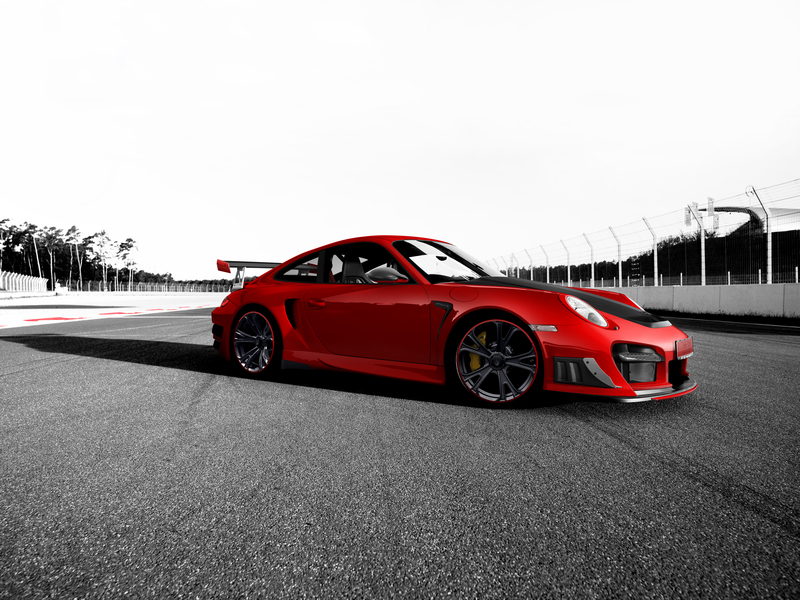 The balance in finding the right ride height for a car with front aprons as low as the Techart Porsche GTStreet RS which will be driven largely on public roads is always a problem but recognizing that daily usage is an imperative for many buyers, TECHART developed an hydraulic noselift system for the Porsche 911 GT2 RS designed for easy retrofitting. The activation button for the system resides on the roof console along with a status indicator and provides both silent and rapid height adjustment of approximately 10 mm per second when activated. 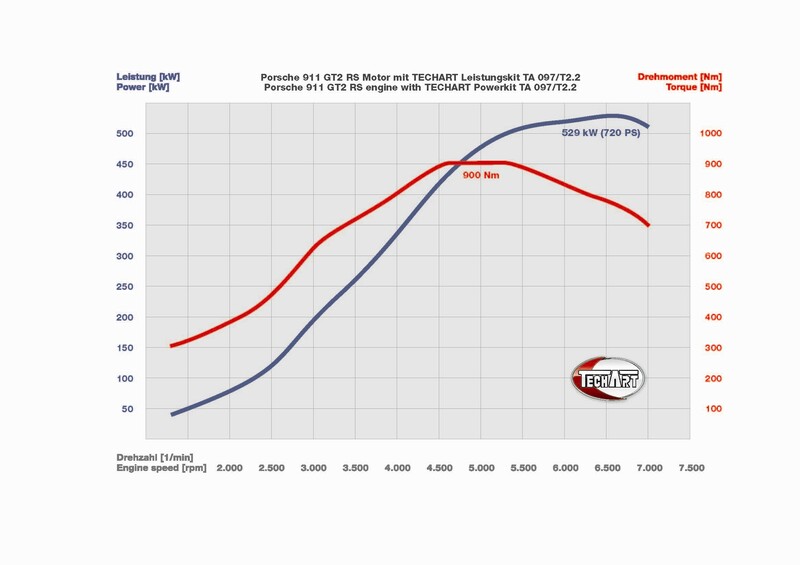 This has enabled TECHART to concentrate on unhindered aerodynamics, the result of which is a significantly lowered front apron with a fixed carbon fiber splitter and an adjustable splitter of hard-wearing polyurethane. These ensure additional downforce and provide additional air-ducts for improved airflow to the brakes and intercooler. 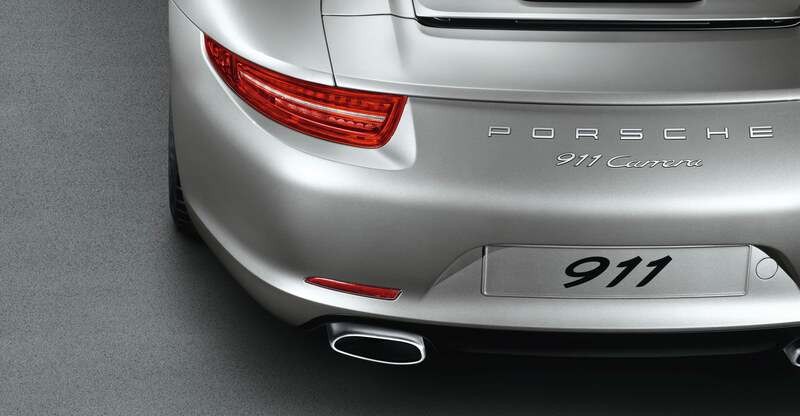 The rear spoiler is fashioned from carbon fiber, as is the rear apron with integrated diffuser. More details on Techart Porsche 911 GT2 RS will be forthcoming at the Frankfurt MotorShow 2011 later this week.